ACHIEVE! is a dynamic road-map for accelerating performance and turning your goals/vision into reality! Use the 5-Step Achievement System™ to expand belief boundaries and work through emotional barriers keeping individuals, teams and/or organizations from the next level of achievement. Build to outperform! 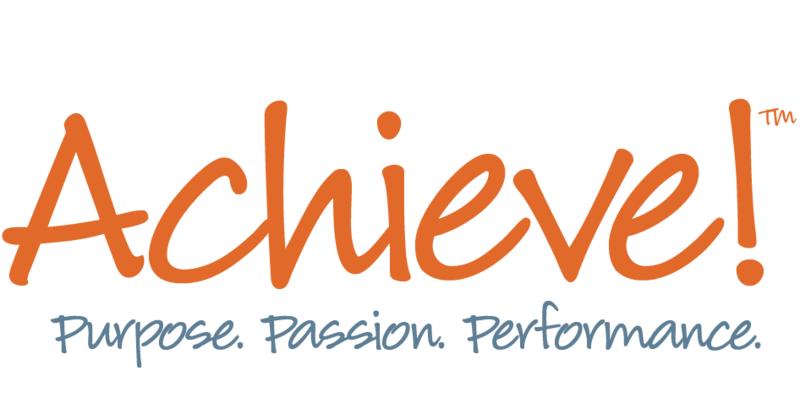 Download more about ACHIEVE! Our new ACHIEVE! Coaching Infographic contains coaching tips and a road map for coaching success.